The Late Sherman Milton established Milton Funeral Home in 1974. Looking for a better way of life, Mr. Milton relocated to Dade City by way of Miami, Florida. Here he met and made many friends and Dade City became his home. Mr. Milton had his second start as a funeral home owner in a small 1,000 square foot house on Fifth Street before relocating to a large two story antique home. 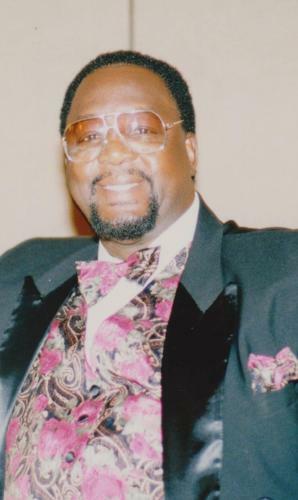 Mr. Milton has helped many people in the area with their funeral needs. He was a very compassionate business man. Upon his daughter, Rosandrea coming to Florida to help with the family business he began to give up some responsibility and allow her to run the family business. She has worked under his training for many years. Rosandrea now has the torch of continuing the legacy of her father who passed away on June 2, 2013. Mrs. Rosandrea L. Pulley McClendon who is affectionately known as "Rose" throughout her community, is the proud daughter of the Late Sherman Milton and her mother, Julia Pulley. She was born in Greensboro, North Carolina but was reared into adulthood in New Rochelle, New York. Rosandrea relocated to Dade City, Florida in 1993 after graduating from New Rochelle High School. She attended and graduated from St. Petersburg Junior College in 2002 where she received an Associate Degree in Funeral Services. Rosandrea began her career working at Aikens Funeral Home in Tampa, Florida. She later took over the family business for her father who became ill. Rosandrea is very involved into the community in which she serves. She serves as branch secretary for the local chapter of the NAACP and is also a member of Alph Pi Chi Sorority. Rosandrea is a Licensed Pre-need Sales Agent, a Licensed Insurance Agent and a Notary Public. She is also a student at Life Christian University where she studies Theology. She works by her husband's side in the ministry in helping others. You may reach Rosandrea 24/7 to answer any of your bereavement questions. Rosanrea's goal is to continue the legacy left behind by her father. Her desire is to continue to pass down the same opportunities that were afforded to her. Her hopes of one day having her son, Darrell McClendon to carry on the business, keeps her motivated as she continues to pave the way for others. Elder Freeman D. McClendon is the husband of Rosandrea McClendon. Pastor McClendon was born and raised in Dade City. He is the third child born to the Late Jesse and Joanna McClendon. He has been in ministry for many years under the leadership of his older brother, Bishop J. B. McClendon. Pastor McClendon is the founder and Pastor of Bread of Life Worship Center located in Dade City, Florida which began in May of 2014. Pastor McClendon works by his wife's side to fulfill the needs of the families in which they serve. Pastor McClendon also serves as the chaplain for Milton Funeral Home. Pastor McClendon is a student at Life Christian University, Dade City where he is studying Pastoral Ministries.